Recorded in Tokyo over a few days in January 2017, Some People Want to Live Forever, I Just Wanna Die Now by Stock Photography is available now via Bandcamp. For the March 2017 instalment of his Long Wave programme on Dublab, Mike Harding put out a call for anthems, national or otherwise. It was a loose, open brief, but the best ones are! Thinking about alternative anthems for Japan, I turned to my obsession with Japanese store jingles. 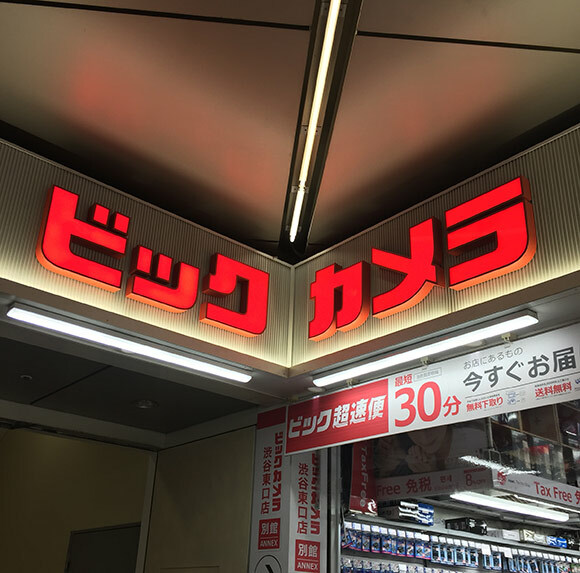 Nearly every chain store in Japan has an incredibly catchy song that plays in the shop. After listening to and sampling from countless selections, I settled on making a piece based upon my first love, the Bic Camera song. Mike played it during the second half of the show, but you really should listen to the whole episode. 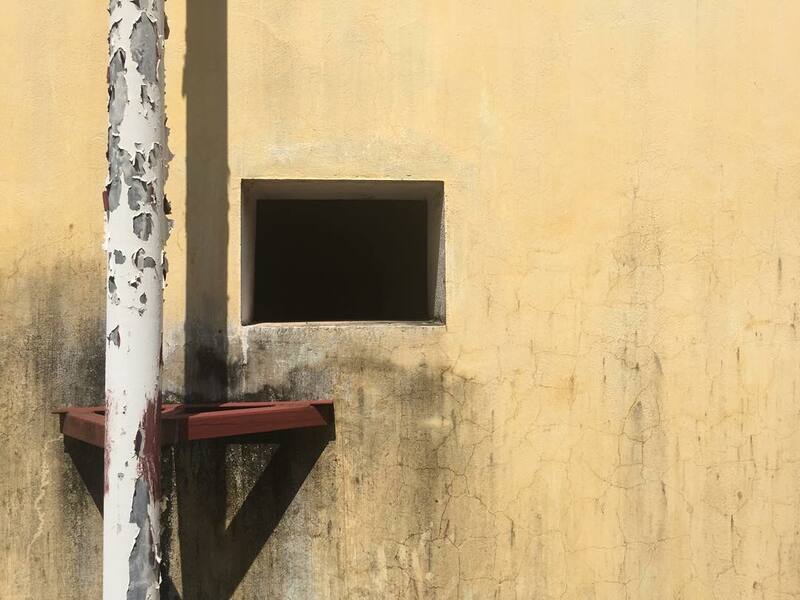 In addition to closing with a piece of his own making, he presents selections from Lasse Marhaug, Jana Winderen, Chris Watson, Geneva Skeen and more. You can stream or download the episode from the Dublab site here and you can listen to my piece, Anthem for Electronics Shopping, on its own via the embedded SoundCloud player below. This is the second instalment of The Cap Report for Long Wave. 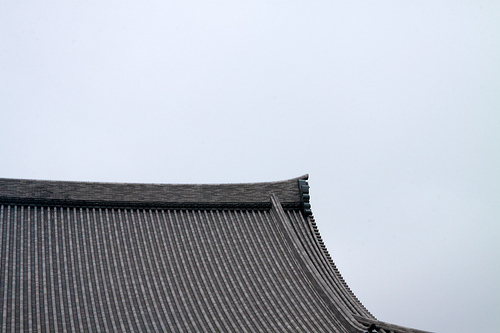 In the first episode, I travelled to Japan. You can find out more about that one here. Over 18 people have died as over 40 inches of snow fell on the eastern seaboard of the United States. It was the second largest in New York City, where over 29 inches fell, since 1869… This recording was made in Williamsburg, Brooklyn using a Zoom iQ6 microphone and iPad Air 2. My debut episode of Touch Radio was released today. A 25+ minute field recording of the winter storm Jonas, this was recorded inside my apartment whilst snow battered the window in front of the microphone. Since early October, Mike Harding (Touch) has been presenting Long Wave, a radio programme on London’s Resonance 104.4 FM. Mike kindly gave me the opportunity to produce an entire episode of the series, which I naturally took. My episode, Long Wave 12 – The Cap Report, airs on December 24, 2013 at 10.30 p.m. GMT (5.30 p.m. for my NYC friends, 4.30 p.m. for my Chicago friends and so on). The Cap Report features a selection of field recordings that I collected in Japan during September and October 2013, as well as an extended freak out on the Otamatone and the Korg Monotron Duo. What started out as an intention to present a few of my field recordings along with a DJ mix, turned into an entirely original 90 minute audio piece. I hope you enjoy listening to it as much as I enjoyed producing it. Whilst I encourage you to listen live on Resonance 104.4 FM (which you can do online) with your friends and family as you await the arrival of Krampus, the episode will be made available on the Long Wave site in the near future. I’ll also be sure to upload it to various dark recesses of the internet so that it may haunt your nightmares for years to come. When I moved to New York City, one of the first things I noticed was the sheer number of psychics in the city. Everywhere you turned there was an opportunity to get a $10 reading. How did they all stay in business in a city with horrifyingly high rent prices? Was this piece of the NYC landscape, like so many others, doomed to fade away? And, more importantly, where did they get those wonderful signs? I’ve spent the past year photographing the exteriors of these businesses entirely on film. It started out as a coincidence, because my passion for film photography grew immensely in 2012, but it quickly became a core tenet of the project. An analogue process felt naturally more intuitive and more capable of capturing the borderlands of perception. There is nothing psychic about digital methods. Although I used a variety of films for this project, most of it was captured using The Impossible Project’s instant film for Polaroid cameras. I love my SX-70 and the instant gratification it provides, but I truly love how this particular medium adds its own voice to a photograph. Whether it’s PX or PZ, black and white or color, old generation expired film or the latest Color Protection Film, these materials play their own role in the final image. This extra thing that becomes a part of the work that I don’t control is… extrasensory! The kind people at the Impossible Project Space NYC asked me to kick off their new (212) Impossibles showcase with Psychic NYC. 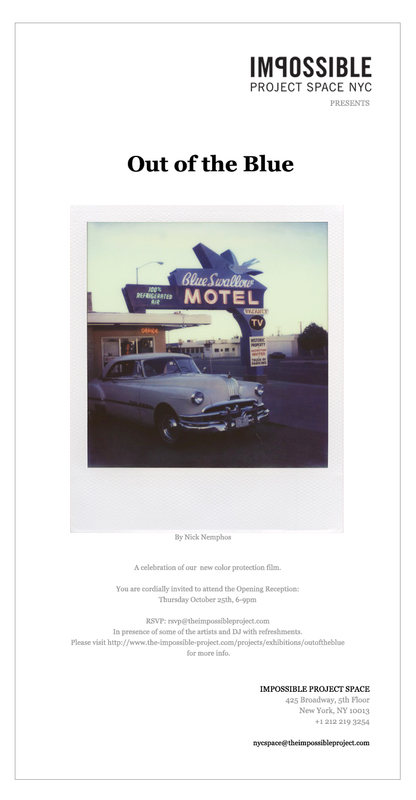 I’ll be showing 15 original photographs shot on their film starting tonight, January 17, 2013. The show runs for roughly one month. 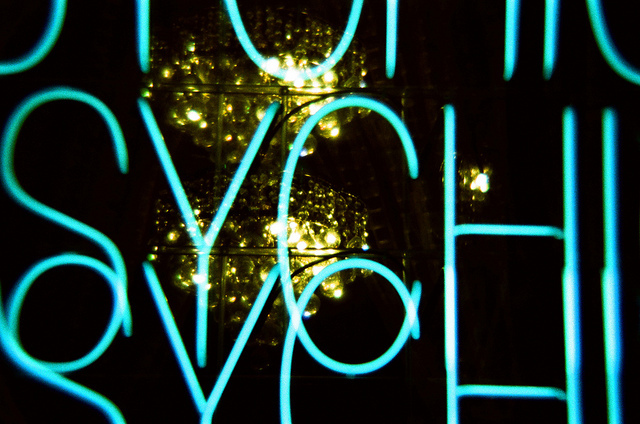 If you want to see every shot in this project that I’ve scanned thus far, check out my Psychic NYC set on Flickr. It’s an ongoing project, but I’m hoping to wrap most of it up later this year so that I can start planning for a print publication. And, of course, if you see any great psychic exteriors in NYC that I missed, please get in touch. I’m always looking for more. Thanks! It should be obvious to anyone who has seen my recent photographs how much I love Polaroid cameras and the new film that the Impossible Project makes for them. 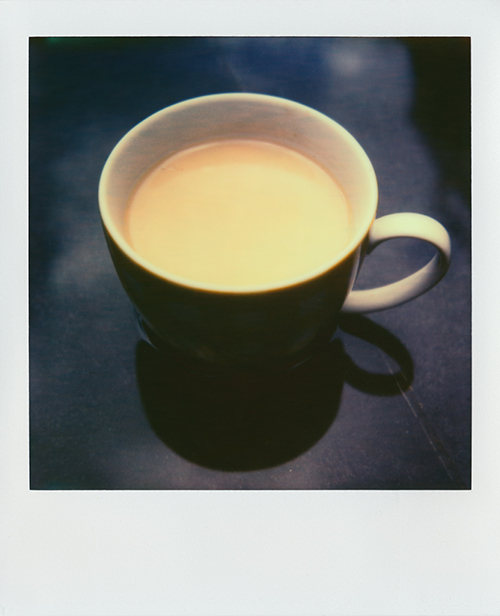 Although I’ve enjoyed the unpredictable light leaks, mottling and divots provided by their previous emulsions, the latest Color Protection iteration of their PX 70 and PX 680 films are their best work yet. This Thursday, October 25, 2012, from 6 – 9pm, the Impossible Project Space NYC will host an opening reception for Out of the Blue, a group show featuring this fantastic new film. I’m incredibly grateful to have had one of my shots chosen to appear in the exhibition and hope that you can attend the opening. In addition to my image, you’ll be able to see the work of 29 other very talented photographers whose company I’m honored to share. The 2012 Verge Art Fair opens tonight at 159 Bleecker Street in New York City. I will be showing a selection of my photos, including my latest work with the Impossible Project’s integral film for Polaroid cameras. My friends Leif, Maja, Edmund and Adam are showing as well. We’re all in the basement, so if you’re in NYC, come check us out, and take in all the amazing work on the two other floors of the space, too! Tonight’s opening runs from 6pm until 10pm and admission is $10. The show runs through Sunday, May 6. A preview of the work I have on display can be seen below. I’ve been so remiss in posting lately that I’ve not only had the honor of contributing a photograph to Touch Radio 64, but the just-released Touch Radio 74 as well. The former is a fascinating field recording of the songs of wolves by Yannick Dauby, whilst the latter is a piece by one of my favorite electronic musicians, CM von Hausswolff. Please take the time to listen and enjoy these recent instalments in a fantastic podcast series. You can subscribe to Touch Radio via iTunes or you can stream all episodes directly from the Touch iPhone app (which I helped make—sorry that I still haven’t posted about that!). Many thanks to Mike Harding for his continued encouragement of my artistic pursuits as well as to Jon Wozencroft for always having been a visual inspiration to me.